Nov. 1 (NBD) – E-commerce titan Alibaba's affiliate Ant Financial has embarked on aggressive expansion in the offline payment sector. The financial firm is to provide digital management tools for over 100 million offline micro and small merchants. It will also offer loans for 30 million micro and small enterprises or self-employed individuals through its online lending platform MYbank within the next three years. By the end of 2018, its hospital outpatient reimbursement services are expected to cover 50 million offline merchants, with spending amounting to more than 500 million yuan (71.8 million U.S. dollars). In South China's Fuzhou, over 90 percent of the businesses are using mobile payment, Cheng Xueying, deputy investigator of Fuzhou Municipal Bureau of Commerce told 21st Century Business Herald. The payment service is available in more than 95 percent of physical stores in the city, added Cheng. Currently, a total of 128, 000 micro and small merchants in Fuzhou have received 18.8 billion yuan (2.7 billion U.S. dollars) of loans from MYbank. It is noted that China's micro and small business constitutes major part of the national economy. Data from the People's Bank of China reveals that as of 2017, micro, small and medium enterprises (including individuals) accounted for 90 percent of the total players in Chinese market, which create over 80 percent of positions and over 70 percent of patents of the country. Besides, over 60 percent of GDP and 50 percent of tax revenues are also contributed by such group. Thus payment providers are seeking to offer diverse services to those businesses, a move to further expand presence in the offline payment sector. In May this year, Alipay, online payment app of Ant Financial, launched loan service and healthcare insurance tailored for micro and small enterprises. Eric Jing, executive chairman and CEO of Ant Financial, noted the offline merchants could enjoy various services including marketing, loan, financing, insurance, credit purchase and operating analysis via QR code. As the merchants are faced with difficulty in financing and lending, Ant Financial will help them to tackle such problem, Zhang Yi, CEO of iiMedia Research Group mentioned. With the growth slowdown of Chinese offline payment market, competitions among players become increasingly fierce. To beat rivals, giants strive to build the payment ecosystem in which different services and payment scenarios are included. 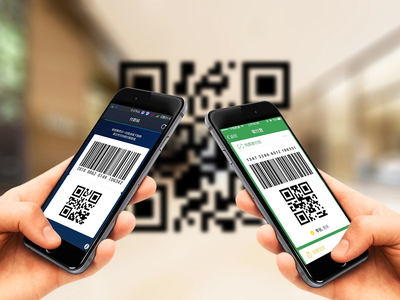 For Alibaba, Alipay's QR code will not only be connected with mobile payment, but also enable merchants to gain access to all entries of Alibaba's channels, Jing said. Tech giant Tencent, Alibaba's archrival in mobile payment, is extending its WeChat payment business from first-tier cities to second- and third-tier ones. Besides, it has developed eight payment scenarios such as online check-out for physical stores and self-service ordering.